Black Star Runner - Feel the rush of a ground-rumbling sprint through late-night Moscow with Timati, L'One, Egor Kreed, Natan, Mot, Kristina Si, MC Doni, and Philchansky! Run with all you can run down streets filled with obstacles and surprises! Faster, faster, jump around buses and trucks, and take the stairs down to the subway. Look both ways! Beware of street thugs and vans flying out of control. This world is full of unknown perils. Can you take the reins? Create your own image, choose from a wide selection of clothing articles. One suit just won’t cut it! Use various upgrades to help you achieve success. Ready? Set? Let’s go! This is only the beginning! Don’t miss a multitude of new additions in the updates!. Android OS 4.2 or later version is required. This application: does not require constant connection to the Internet; requires that you accept the terms and conditions of user confidentiality, services acceptance agreement, and the license agreement with the Bros Universe end user; activates an in-game advertisement and in-game purchases; collects data by way of external analytical technology (see Terms and Conditions of information confidentiality and user identification); and contains links to sites and social network pages intended for an audience of 13 years and older. 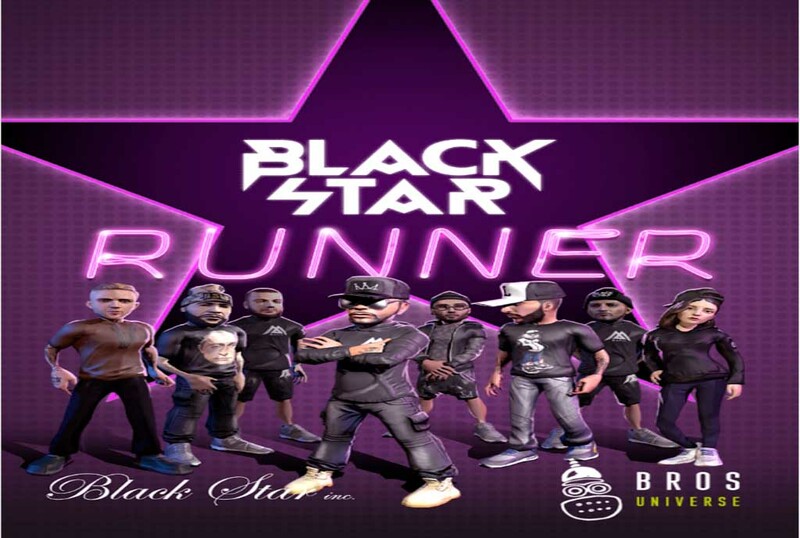 Black Star Runner: install APK and play the game.